DIRECTV’s Genie DVRs require the use of SWM technology. That means you must either have a SWM-enabled dish like the Winegard Trav’ler SK-SWM3 or something similar. 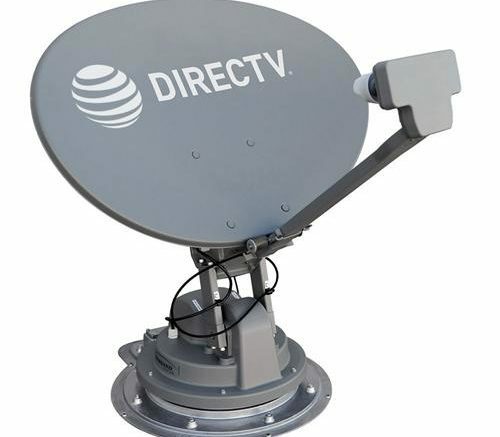 The dish must be capable of seeing at least three of DIRECTV’s satellite locations: the 99, 101, and 103 locations. Round dishes aren’t supported anymore by DIRECTV Genie, although if you’ve previously set up your Genie to work with a round dish it will still work. Recently, we’ve begun hearing of people who had a working Genie DVR on a round dish or SD dome and they stopped working. It’s all part of the same problem. DIRECTV always intended the Genie to work with an HD-only setup and as part of their latest software they’ve changed the dish setup so you can’t even choose the round dish or Phase III dish anymore. We’ve received reports that some DIRECTV techs don’t think a Genie will work in an RV, but if you have this dish or any Slimline-3 or Slimline-5 dish it absolutely will work. Your friends at Solid Signal can help you with the setup and activation. Just give us a call at 877.312.4547 and we’ll take care of everything! Solid Signal is one of the nation’s largest dealers for both DIRECTV and DISH RV installs and we can arrange everything from the receiver to installation services if you want. We’ve got it all! When do you need a “Legacy” dish for your DIRECTV installation?